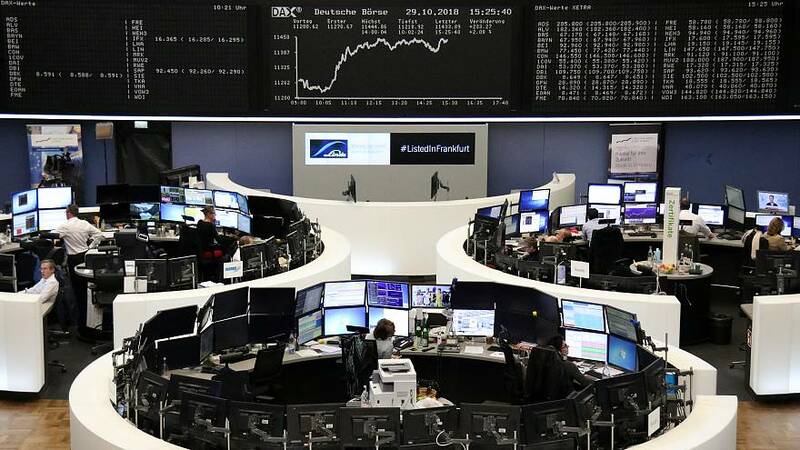 European shares joined an overnight rally on Wall Street after dovish comments from Federal Reserve Chair Jerome Powell boosted investor sentiment towards stock markets despite uncertainty over a possible escalation in the U.S./China trade dispute. Traders believe the risk of fast-rising interest rates hurting the U.S. economy and the stock market is now on the downside after Powell said monetary policy rate is now "just below" estimates of a level that neither brakes nor boosts a healthy economy. "If you were looking for a trigger for a December rally in equities, we got it last night from the Federal Reserve", wrote Neil Wilson, chief market analyst for Markets.com. Real estate was one of the rare sectors in the red. Britain's Intu sank 36 percent after deputy chairman John Whittaker abandoned a plan to buy the British shopping centre group. This reignited worries about the outlook for the battered sector and Intu's rival Hammerson fell 6.5 percent.